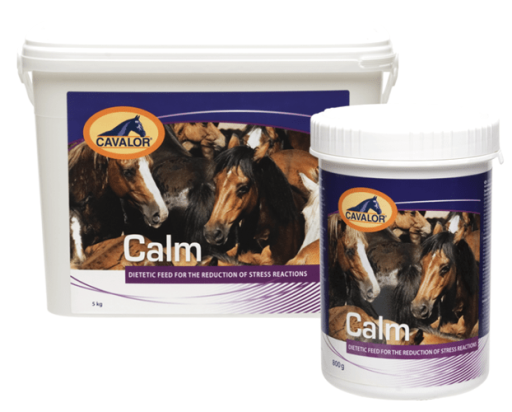 Cavalor Calm is an Equine nutritional supplement perfect for managing stressful situations. It helps to reduce the usual signs associated with stress in horses, without reducing their responsiveness (memory or motor skills). Ultimately, it enables competition horses to perform to their full potential when it really counts. Cavalor state it does not contain prohibited substances and has no negative effects on the liver and kidneys. Cavalor Calm has been specially developed for horses that only exhibit "spooky" behaviour at competitions; however, it may also be beneficial for chronically nervous horses. Vitamin B1, B6 and B12. Cavalor Calm does not contain substances that are prohibited in competitive sports. Each horse is an individual. It is impossible to have an exact dose. We recommend an initial dose of 3 measuring scoops per day (45g), 2-3 days before the stressful event. Then the dose can be adjusted according to the results produced. Use for a maximum of 4 weeks at a time then slowly reduce the dose over a few days to before stopping. Comes in a 800g or 2kg tub. 2kg lasts 44 days at 45g daily dose.